Early detection of cancer and angiography applications are just two examples that can directly benefit from an imaging modality with excellent soft-tissue contrast. X-ray grating interferometry is promising to achieve this while keeping radiation dose and examination costs low. Existing clinical X-ray systems can be retrofitted with a set of three gratings to form an interferometer. The measurement procedure yields three images: X-ray absorption, differential phase, and dark-field. The vision of phase-contrast X-ray is that these three complementary signals together enable highly sensitive tissue contrast for medical diagnosis and interventional applications. The X-ray phase contrast group at the Pattern Recognition Lab develops algorithms for processing these images, and for the 3-D reconstruction of tomographic acquisitions. We closely collaborate with the physicist at ECAP, who are maintaining the experimental setup. Short overview: Yashiro, W., et al. "X‐ray Phase Imaging and Tomography Using a Fresnel Zone Plate and a Transmission Grating." AIP Conference Proceedings. The attenuation, phase-shift and dark-field signals obtained with a Talbot-Lau system are correlated to a certain degree. The idea of this project is to leverage these correlations to improve 3-D reconstruction of image data, for example for beam hardening correction or reconstruction with a limited field-of-view. 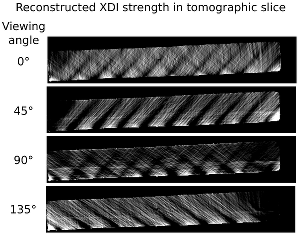 Grating-based Talbot-Lau X-ray Interferometry is a novel imaging modality. Compared to standard absorption X-ray imaging, it enables the acquisition of differential phase contrast images. These images correspond to the electron density of the scanned specimen. Furthermore, so-called dark-field images are obtained. These images can visualize density inhomogeneities at micrometer scale. The goal of the project is to improve the setup of Talbot-Lau X-ray Imaging systems. So far the correlation between the different variables of such a system especially with polychromatic X-ray spectra is not known yet. 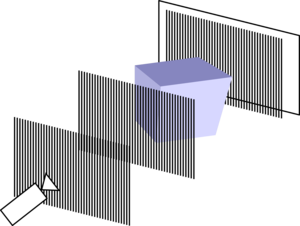 Thus, the setup should be simulated and optimized to find the ideal setup with respect to certain structures in the object and the resulting images. X-ray dark-field imaging (XDI) measures ultra-small angle scattering. It allows reconstruction of structural variation at length scales from hundreds nanometers to some micrometers, which is much smaller than the resolution of a conventional X-ray imaging system. The core idea of this project is to develop algorithms to fully recover information from XDI datasets. 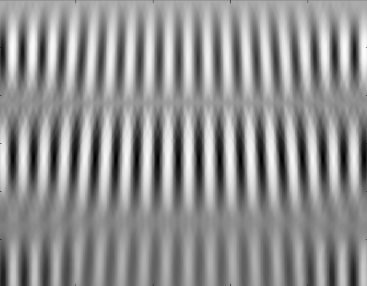 The imaging performance of grating-based interferometers can be impacted by imperfections of the gratings and system miscalibration. The first goal of this project is to develop novel algorithms for correcting measurement artifacts in phase contrast images. The second goal is to investigate the problem of retrieving the X-ray phase shift from the differential projections by integration and its impact on object detectability. More details can be found on Sebastian's project page. 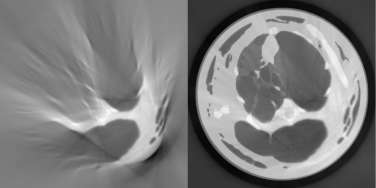 The goal of this project is to build and investigate a system and algorithms for 2-D tomographic phase reconstruction using an X-ray grating interferometer. The system is built at ECAP. The system software was developed in large part by Wilhelm Haas, former member of the Pattern Recognition Lab.